Trip and Marila Turbyfill receive the award for Small Business of the Year for Cafe Strudel. 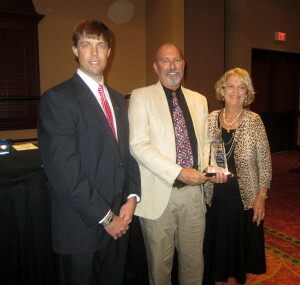 Chamber Board Chairman Vaughan Dozier, left, presented the award. Trip and Marila Turbyfill receive the award for Small Business of the Year for Cafe Strudel. 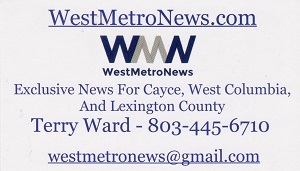 Cafe Strudel was named Small Business of the Year by the Greater Cayce-West Columbia Chamber of Commerce. Cafe Strudel was given the Small Business of the Year award at the Greater Cayce-West Columbia Chamber’s 2015 Annual Dinner, Tuesday night.